This is about two times as large as a typical jar of Thai Kitchen paste. They cost around $4.00 per jar. Al of this was perhaps $2.00. This is one of two posts today. I feel in a very helpful mood. The other post is how to open a bottle of wine with a shoe, sans corkscrew. Useful stuff. This is useful stuff too. 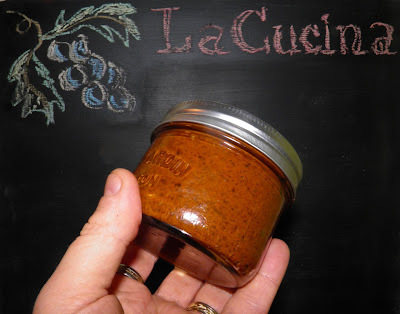 It's a quickie recipe for how to make a most useful kitchen condiment. The recipe is for black bean/garlic/chilli paste. That’s a mouthful to say, and it will help your Asian dishes be a delicious mouthful when its used. Chilli paste is a popular addition to Mexican, Thai, Korean and several other Asian nation’s cooking. Yes, I know Mexico isn’t in Asia. At least not the last time I checked. So that means there’s two main “branches” of chilli paste – Latin and Asian. Most use fresh peppers and fresh garlic ground in a mortar and pestle. It’s the other ingredients that determine its "nationality.". I didn’t even use fresh chillies in this one. I got lazy and used powdered chilli. It’s a little faster. As I said the ingredients determine what kind of paste you make. For example, this one has fermented soy beans so it’s definitely Asian. 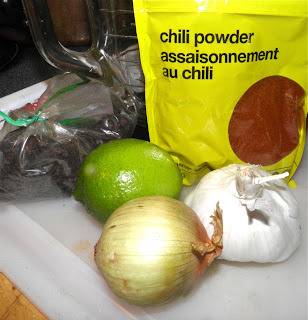 Leave them out and use some Ancho and/or hot chillies (or jalapenos) and you have Latin. 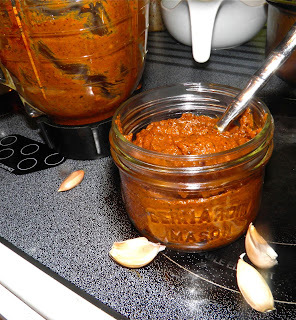 Chilli and garlic paste is common in most tropical and sub-tropical cuisines. In India, chilli paste is a must. It’s often used as a flavour enhancer for curries. A little closer to home it can be used at the barbecue “straight up” or cut with mayonnaise as a condiment on burgers. Chilli paste is very accommodating with regard to quantities and ingredients. 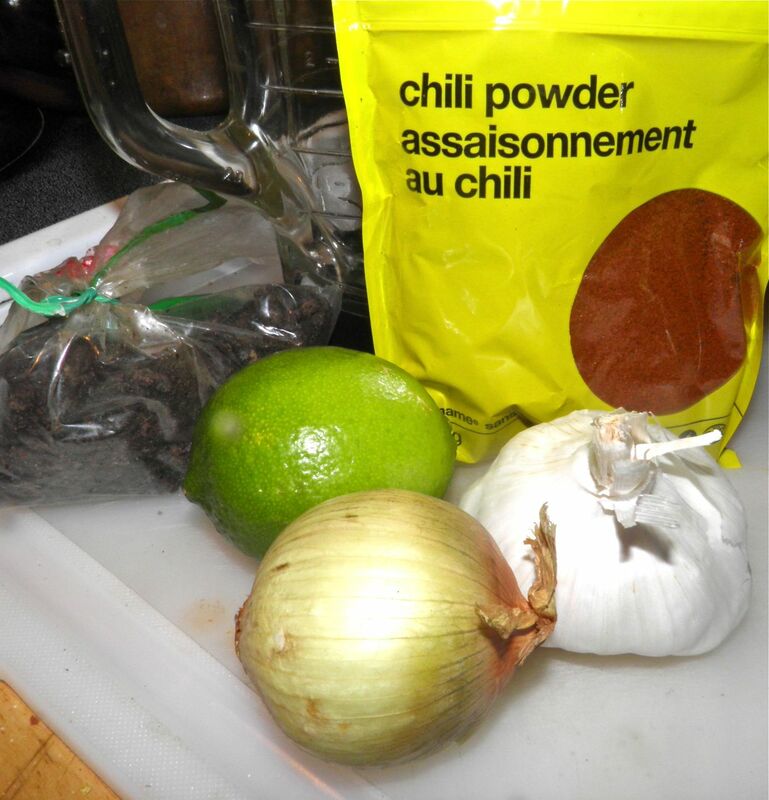 Try this basic with more or less black beans, or even none. Or up the garlic, or make a substution. Just remember, the longer your paste sits in the refrigerator the more the flavours meld and the better it will taste – kind of like homemade mustard. Add all the ingredients, except for the oil, to a blender. Pulse until the ingredients begin to grind. This may take some shaking, prodding and pressing down with a spoon between attempts. VERY slowly add a little oil – only just enough to have everything incorporated. The paste must remain very thick. Once blended, scoop out of the blender and place in a 250 ml jar. Refrigerate. This paste should last about 1 month (or more) in the refrigerator. This would make nice gourmet gifts in smaller jars. Usual sizes of paste jars in stores are 115 ml.